The Ultra Premium RotaTrim Technical T Series Trimmers are - OUTSTANDING premium models designed for heavier work loads (up to 4.0 mm material thickness). 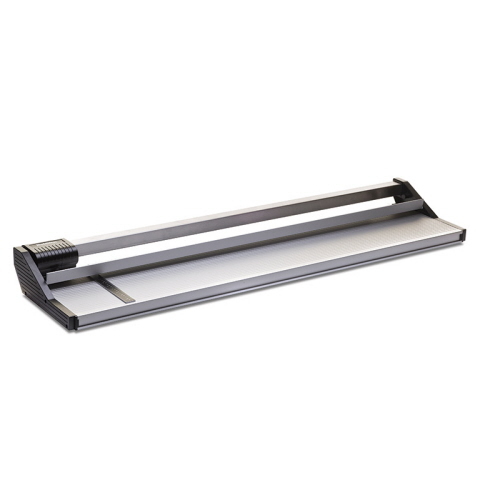 One of the main features and characteristics of these trimmers models is the square recess guide rail, which completely eliminates cutting head swivel. The durable and precise design of these models speaks for itself! Extra wide capacity for the more challenging materials. Ultra hard Sheffield D2 ‘Tool Steel’ self-sharpening, precision engineered blades. 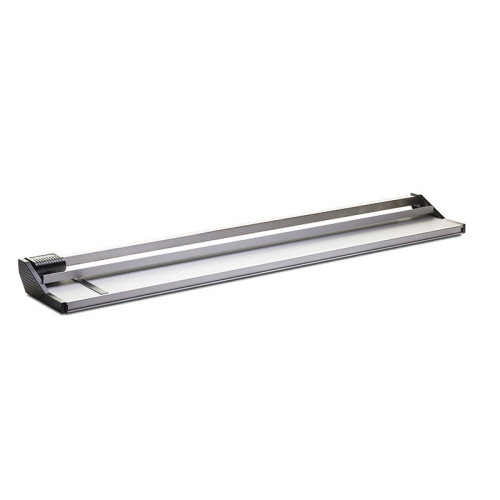 Large single square stainless steel guide rail completely eliminates head swivel. Aluminum baseboard, end frames, head and side rule. These models allow for an optional "Base Extension" (additional cost) to extend the work area, and you can also order optional floor stands with waste collection trays for them. All T Series models, parts and accessories are "SPECIAL ORDER ONLY", expect delays in transit times. The RotaTrim T650 26" rotary trimmer is a heavy duty precision model designed to cut most flexible materials up to 4.0 mm thickness. This popular heavy duty RotaTrim trimmer offers long life and durability, as well as performance precision when cutting a variety of materials. The RotaTrim T950 38" rotary trimmer is a performance level machine designed for professionals requiring absolute accuracy and precision. This premium cutter model is designed for use by print professionals, architectural firms and designers, city planners and graphics designers alike where quality and precision is an absolute must! The RotaTrim T1250 49" large format trimmer is a heavy duty rotary model with exceptional design build, performance and accuracy features. It is a heavy duty precision trimmer which will cut most flexible materials up to 4.0 mm* in thickness. The T Series models all include heavy duty rotary features, including: square stainless steel slide bar for the cutting head, self-lifting clamp, and overload protection. The RotaTrim T1550 61" heavy duty large format trimmer is the pinnacle of performance and durability - designed by professionals for professionals. The T Series models all include heavy duty rotary features, including: square stainless steel slide bar for the cutting head, self-lifting clamp, overload protection and additional performance features as standard. Optional extension bases and stands/waste collection trays are available as well. 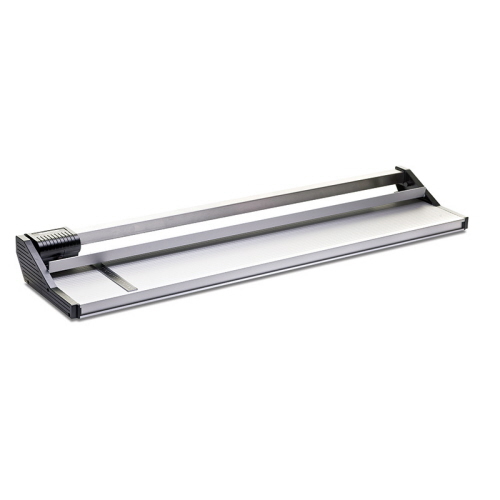 The RotaTrim T1850 is an ultra wide 73" rotary trimmer model designed for maximum performance, precision and quality. Optional extension bases which extend the work area, and stands/waste collection trays are available. The T Series models all include heavy duty rotary features designed to enhance your work flow and make all cutting tasks a breeze! The RotaTrim T2500 is an extreme ultra wide 100" rotary trimmer model - and one of the largest trimmers available on the market today!